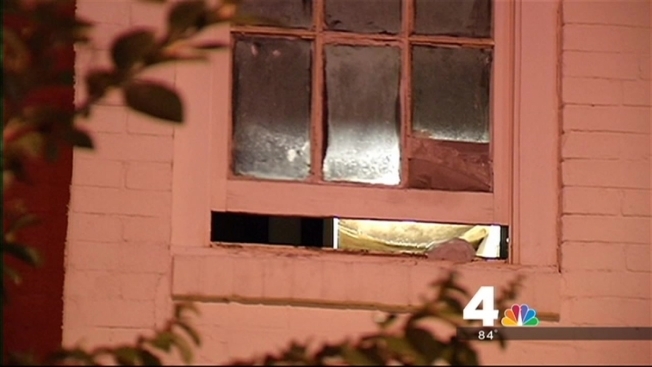 A 21-year-old man is in custody after D.C. police uncovered a gruesome scene at his Shaw row house. Jeffrey Bernard Neal has been charged in the death of his roommate Leon Young, 22, whose body was discovered in the home's attic June 12. During that investigation, police recovered a second body from a shallow grave in the home's back yard, and police believe it is that of Delano Wingfield, who had been reported missing June 3. According to court documents, Neal's uncles were making repairs to his home at 1846 8th Street NW, not far from the Shaw Metro station on June 12. The two smelled a foul odor and found Young's naked body, covered with an air mattress and maggots in the home's attic. Neal was arrested and charged with second-degree murder the next day. He told police he found Young inside his bedroom June 7, standing naked in front of a window, holding a "Kunai" knife and shaking. According to court documents, when Neal asked Young what was wrong, Young told him he killed Wingfield, their former roommate. Neal told police when he reached out for Young's cell phone to call for assistance, when Young swung the knife at him, cutting his hands. At that point, Neal said he picked up a nearby hammer, which he used to hit Young in the head when he again attacked him with the knife. Neal hit Young one more time with the hammer, he told police, at which point Young collapsed and started bleeding from his head. Neal told police he left the hammer, took Young's body to the attic and placed a plastic bag over his head to "contain his building." Neal then decided to flee to Mexico in Young's car, using Young's debit card along the way to buy food and gas, according to court documents. He then stopped in Florida when he ran out of money, asked him mother to wire him cash, then took a bus back to D.C., police said. Young's car was found at a McDonald's parking lot in Florida, and Neal was arrested June 13 at a home in southeast D.C. Police say they found blood-stained jeans inside the apartment, and noticed Young had minor cuts on his hands. Police returned to the home Monday, and uncovered what is believed to be Wingfield's body.